The recent past has witnessed the development of new and diverse notions of Irish identity, alongside changes in the way we articulate the long-established links between Ireland and the Irish, both at home and abroad. 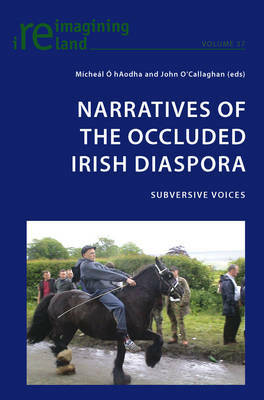 This volume focuses on the intersection between migrancy and the narratives of `hidden' Irish peoples - those emergent voices in the Irish diaspora whose discourses have frequently been occluded, repressed or simply forgotten - and provides a platform for a range of subversive voices. By usurping notions of identity hitherto considered fixed or authentic, it is possible to engage constructively with some of the larger problems that circumvent historiographical debate, particularly in relation to the diasporic experience and its expression in current oral history scholarship. Among the themes examined here are our understanding and definition of the diasporic experience, the role of language in the formation of identity and community, and the relationship between various members of the Irish diaspora and their homeland.